Once upon a time, you couldn’t sell a product without providing a phone number on the label. Then it was the turn of an email address. And today, it is chat. Except this chat is prominently on your website, available over the desktop or a mobile device, preferably the smartphone. Website chat gains even more significance today as texting is how the new customer (read, millennials, Gen Z) likes to communicate. The chat interface should be simple, but the solution shouldn’t work in a silo. The customer experience should be easy, but the technology behind it should be serious. Standalone website chat software providers should be a strict no, because apart from being digital, your next-gen customers are also omnichannel. 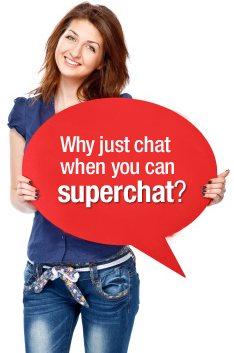 eGain Chat is a mature solution built on the eGain customer engagement hub platform. It connects with the other channels in the eGain suite and even with third-party platforms to provide a seamless, omnichannel customer experience. Enhance the effectiveness of chat by combining with cobrowse. Enable escalations to other assisted channels like click-to-call or video chat, with full context. Escalations from a web self-service session to a website chat session should be easy and with full context. Allow transfer of conversations between a chatbot and a chat agent and vice versa. Allow your chat agent to get assistance from other agents and supervisors during an interaction without the customer being aware of it. Configure post-chat surveys to measure customer satisfaction and bottlenecks. Help us help you chat! Our experts are armed with best-practices, domain knowledge, and experience. When you implement eGain Chat, you get their expertise, too. Not just that, our live chat software comes embedded with best practices gathered from implementations for blue-chip clients over the last two decades. And it’s yours to benefit from. 88,000 calls have been deflected using website chat software from eGain and a further 41,000 calls have been eliminated altogether, with call waiting times halved. Proactive chat offered secure “helping hands” to as many as 2000 customers a day, building trust.